Whether you live in the city of Gulfport, which overlooks Boca Ciega Bay, or you are visiting for the first time, you can’t help but fall in love with it’s old-timey feel and family oriented atmosphere. When I had an opportunity to bring our pressure washing services to a home in Gulfport, the old Florida charm just permeated the whole city. 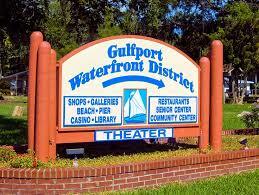 The town of Gulfport boasts of all independently owned and operated businesses. No annoying parking meters line the streets of Gulfport. With it’s roads paved in brick and small cottages, it is apparent that both the residential and business ends of the city are meticulously kept. Local artists are supported by the owners of the shops and boutiques. Gulfport holds special Market days where vendors offer displays of fruits, cheese, bread, seafood and much more. It truly has an old world touch. In light of the lovely sights in the city of Gulfport, we suggest that using the superpower of pressure washing on the house and building exteriors will go far to maintain and enhance the everyday appeal of the residential and business areas. Our company is called Pinellas Affordable Pressure Washing and we service Gulfport and all of Pinellas County. Picture your home and property looking new again. Our mobile power cleaning equipment coupled with our experienced power washing professionals can make that happen. If your concrete driveway has started to show it’s age by exhibiting oil stains and trampled in dirt and grime, don’t fret. Our power cleaning methods of using high powered pressure washers will leave you speechless once our power wash techs have performed their magic. Pinellas Affordable Pressure Washing works with fencing, garages, patios, and even roofs. You can count on our safety conscious power washers to use the amount of pressure appropriate for each individual Gulfport house exterior in order to keep from causing damages. Our technicians take time to cover lawns and plant life. Fences tend to amass a buildup of moisture and airborne dirt and are vulnerable to the ravages of stormy weather. Even the Florida sun makes it’s mark on old fencing. Pinellas Affordable Pressure Washing techniques of exterior surfaces and property in the town of Gulfport are far superior to some power cleaning that you might receive from other pressure washing businesses that serve Pinellas County. Our mobile house pressure washing prices won’t empty your billfold because we charge by the job fairly and reasonably. The next time you decide to have your Gulfport home or driveway cleaned by way of high power pressure washing, you don’t have to google pressure cleaning….just jot down or save the number of Pinellas Affordable Pressure Washing in your phone. We reply to every call in a prompt manner. Our mobile power washing crews are thoroughly trained to use our quality pressure cleaning equipment. You will find our pros respectful and mindful of your pressure washing needs. They arrive at the designated time and if, by some unavoidable circumstance, they are behind schedule, you will receive a heads up courtesy call.